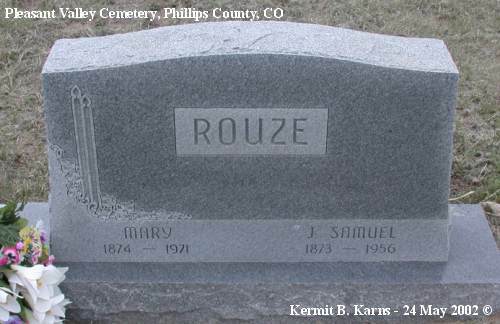 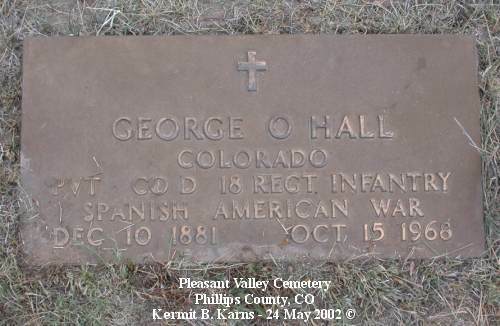 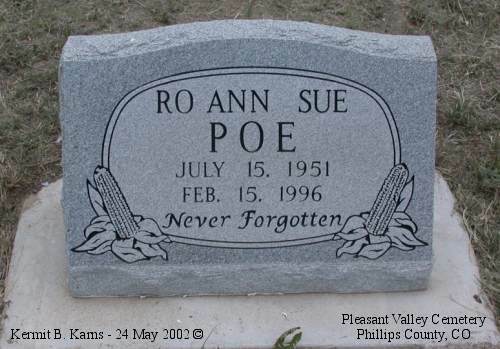 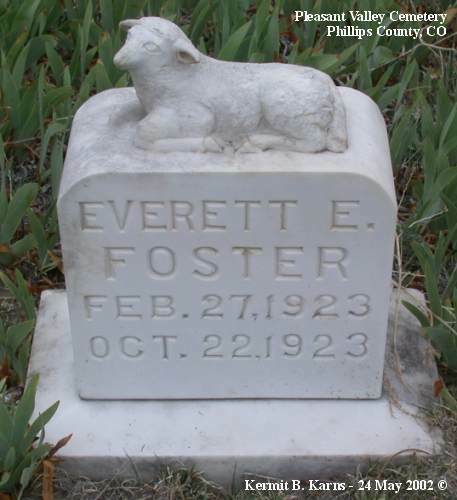 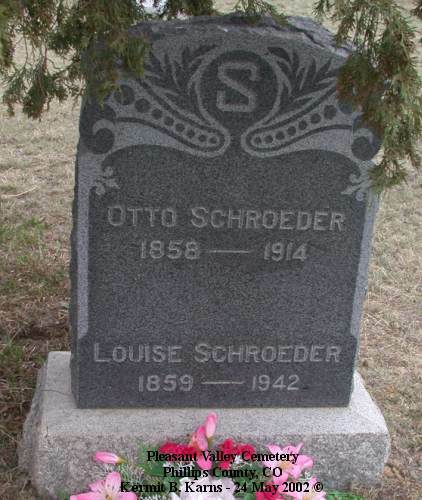 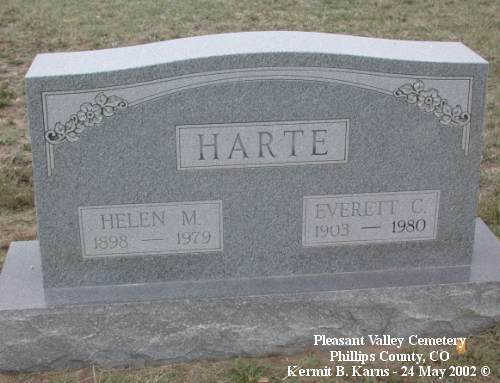 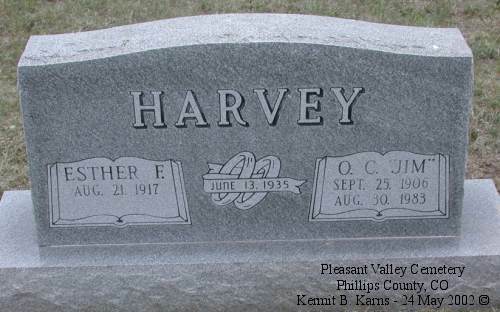 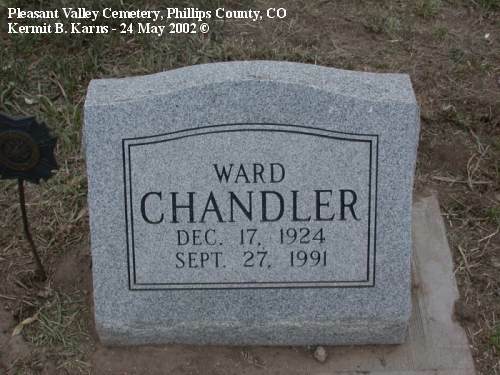 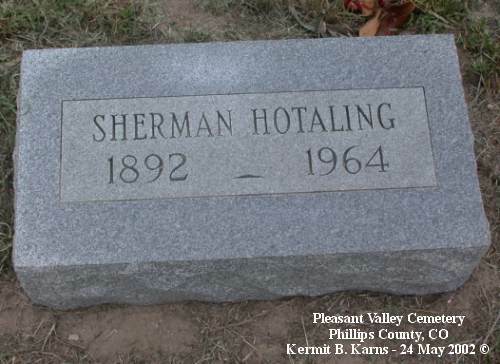 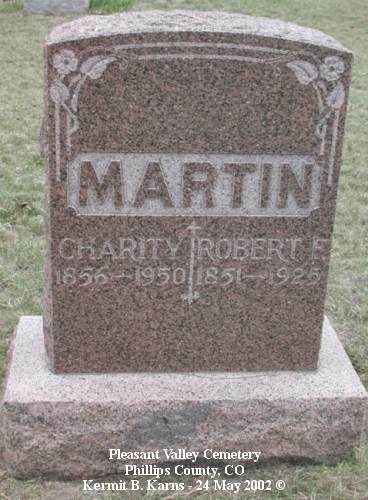 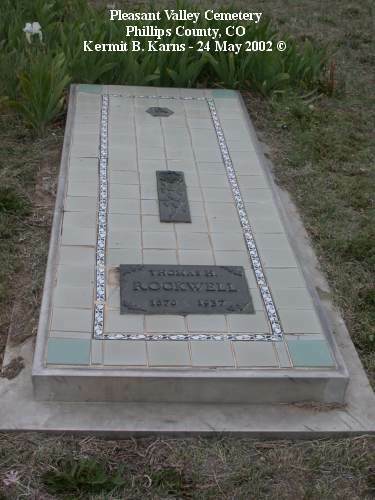 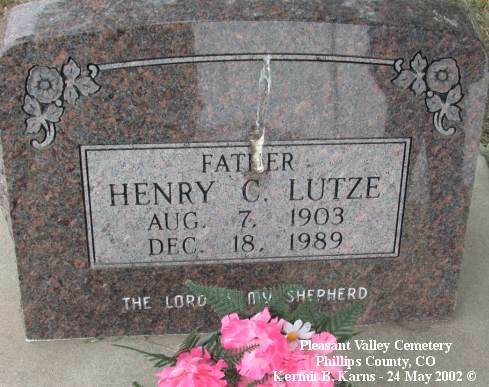 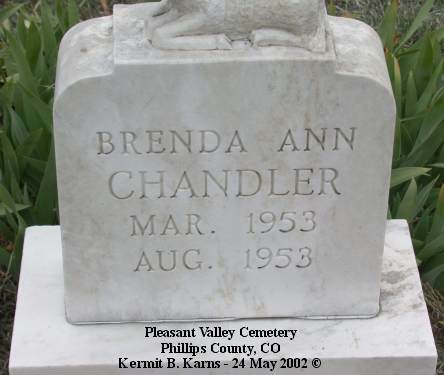 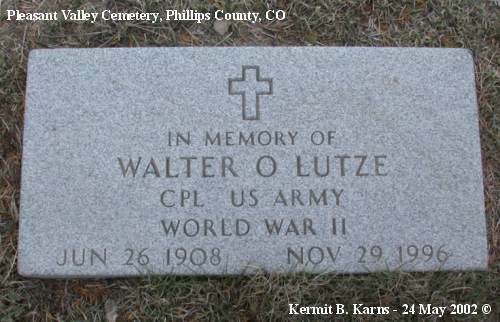 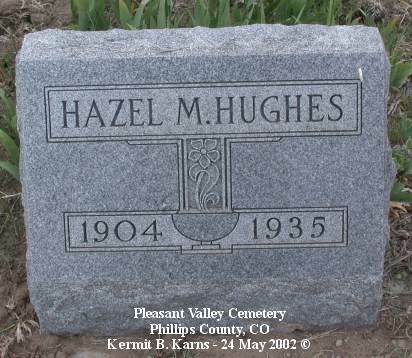 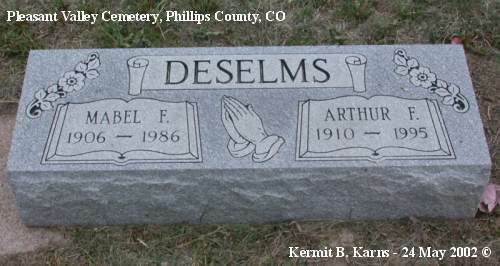 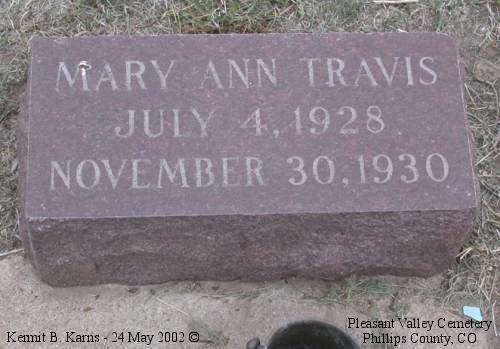 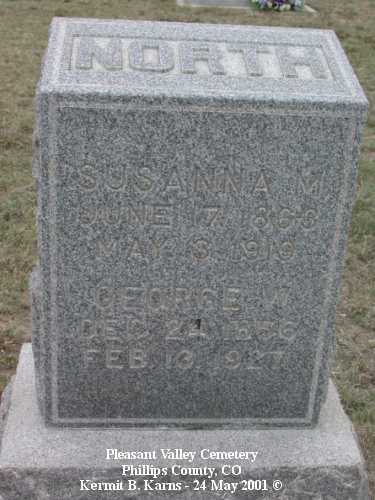 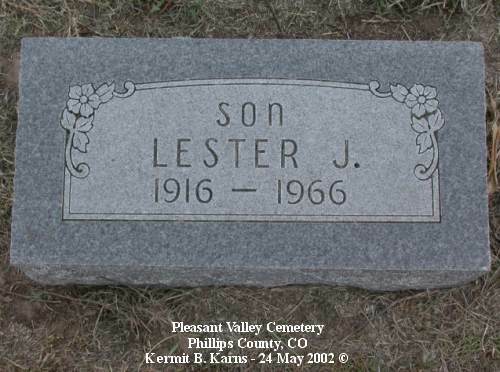 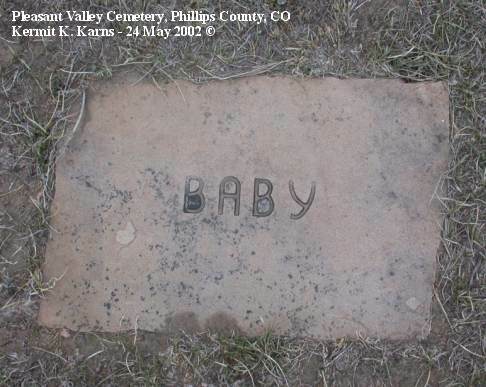 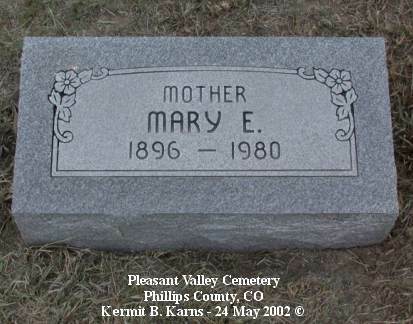 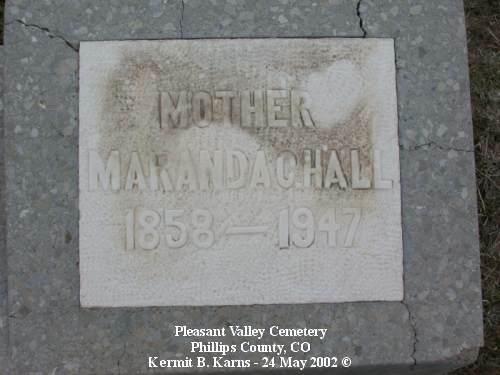 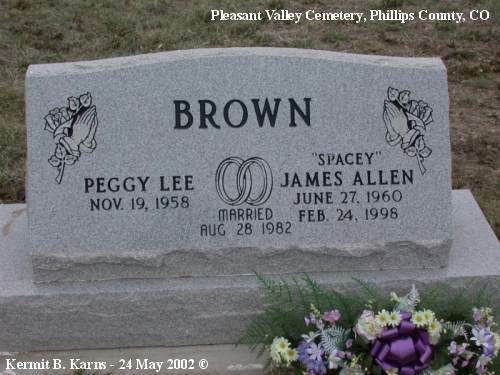 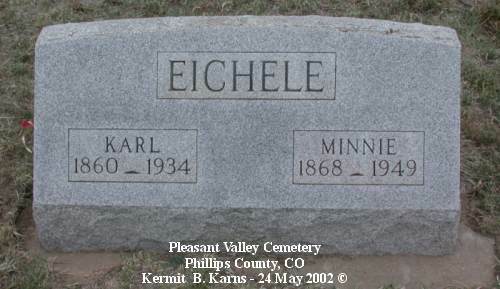 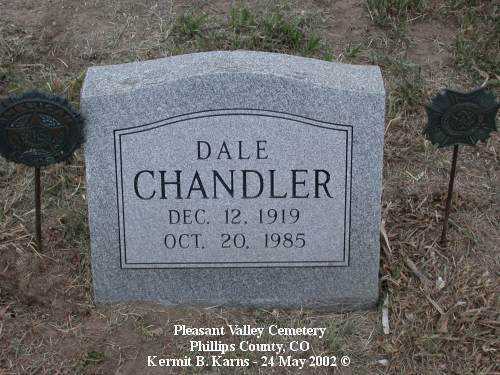 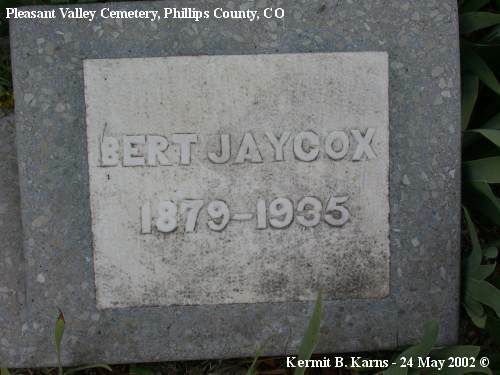 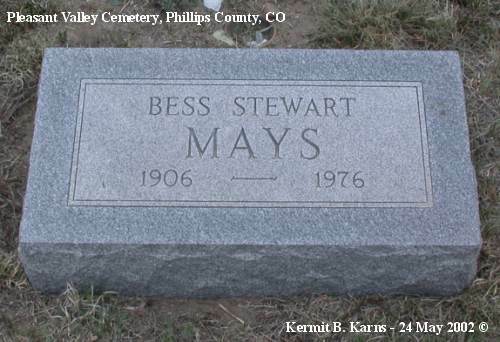 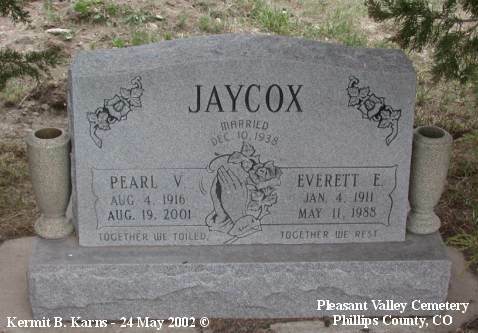 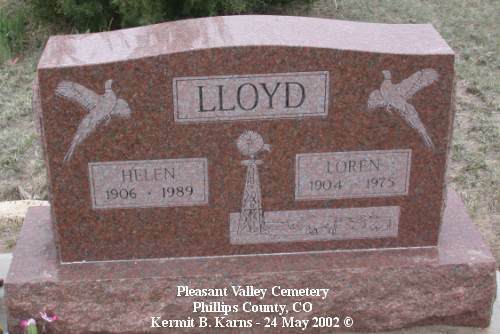 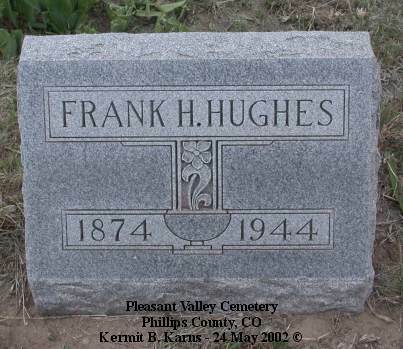 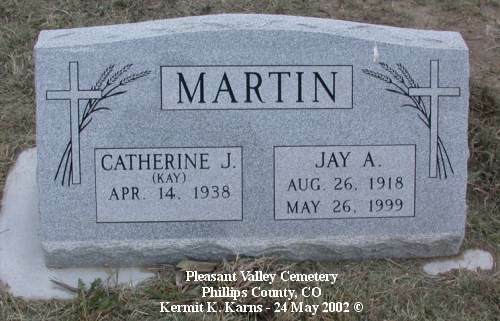 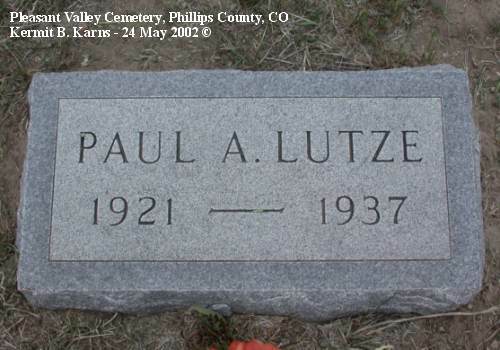 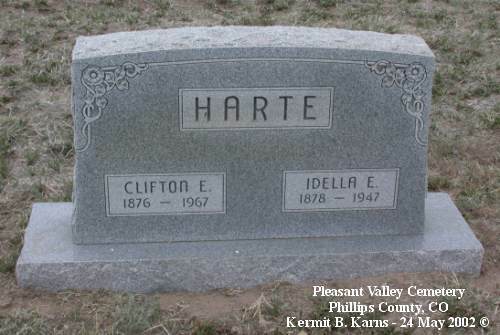 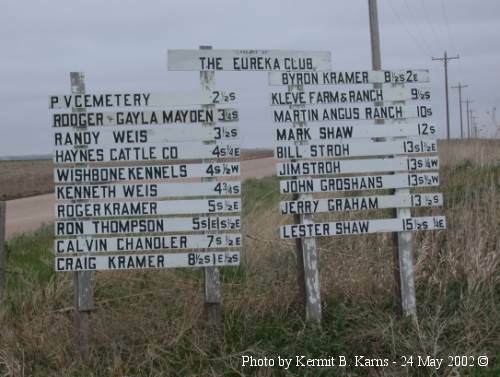 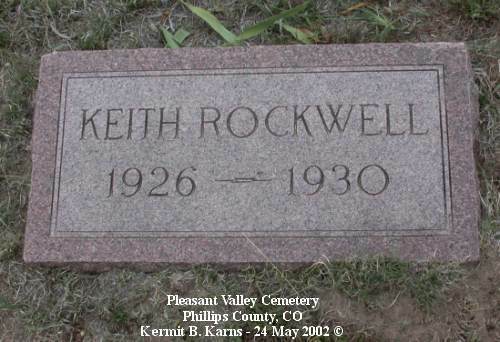 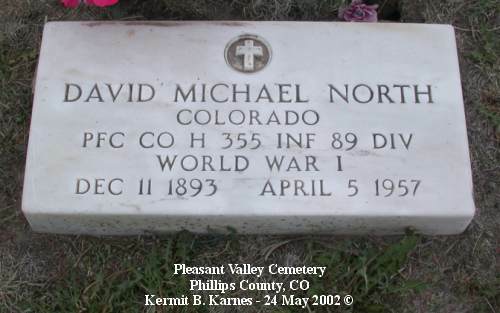 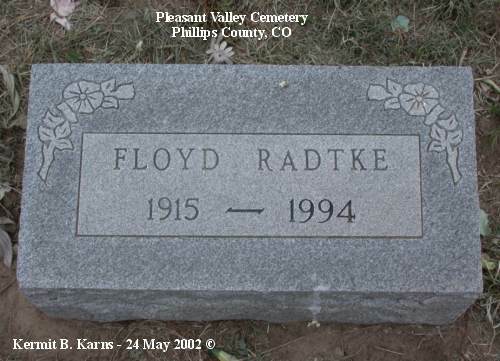 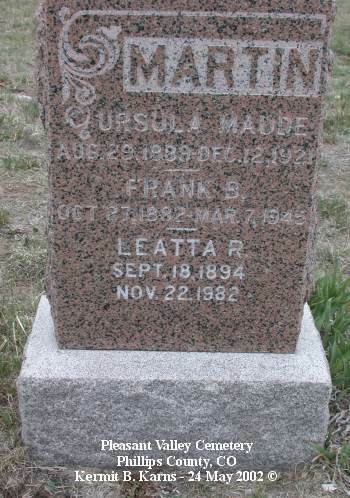 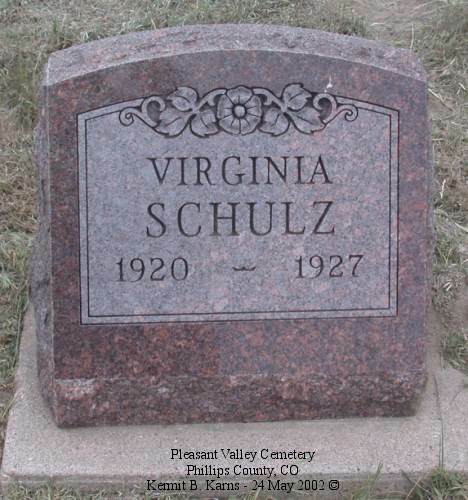 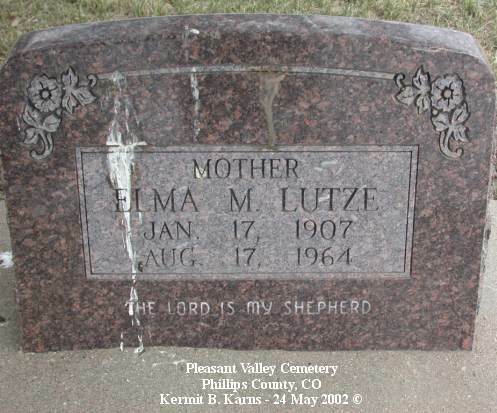 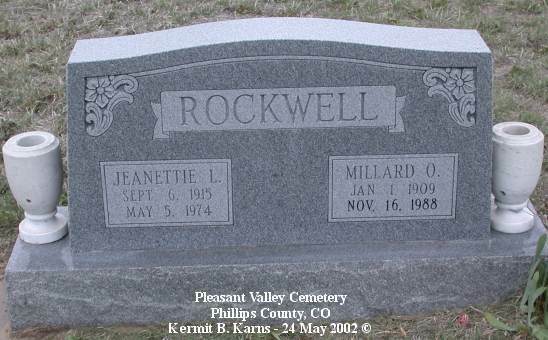 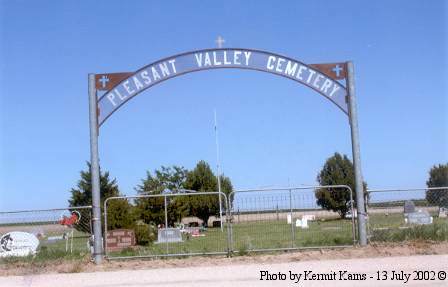 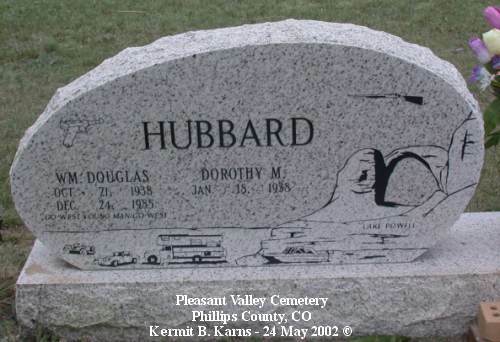 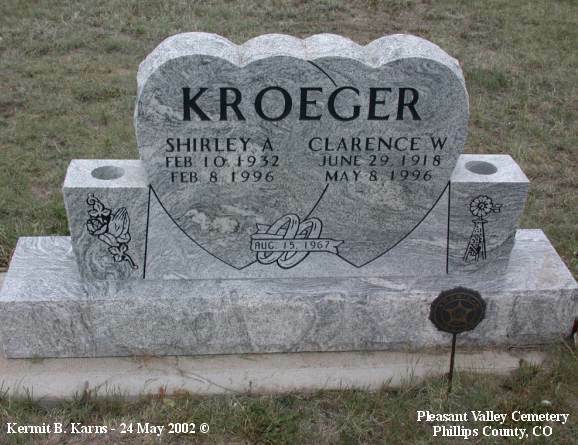 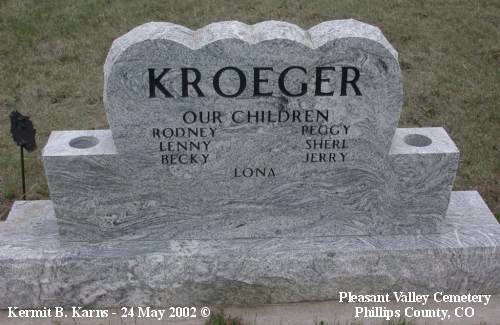 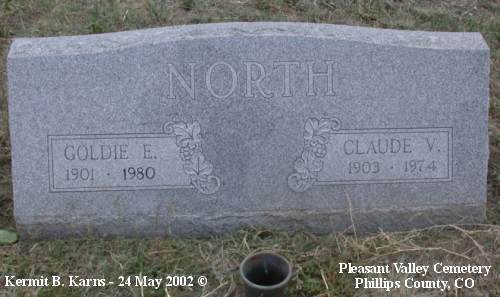 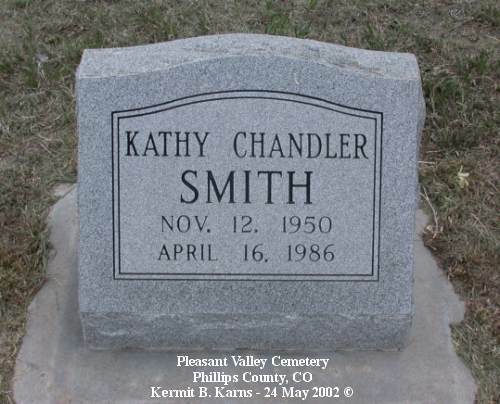 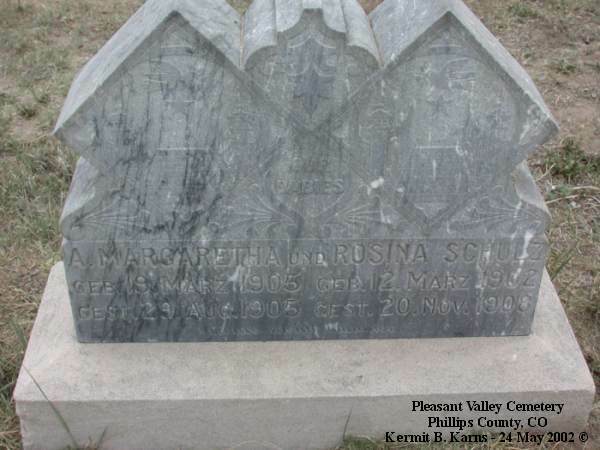 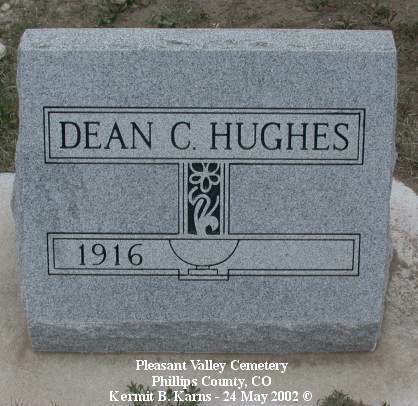 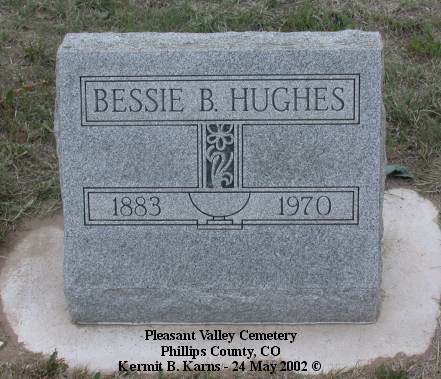 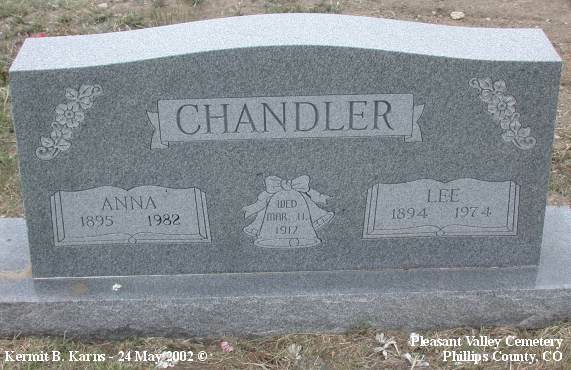 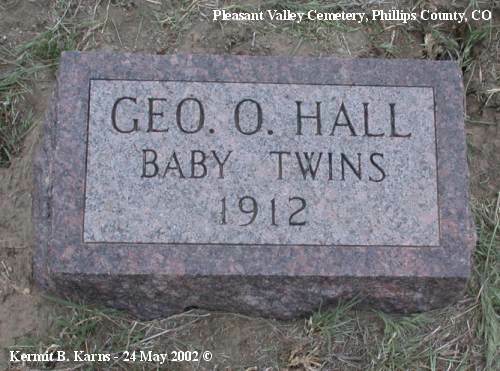 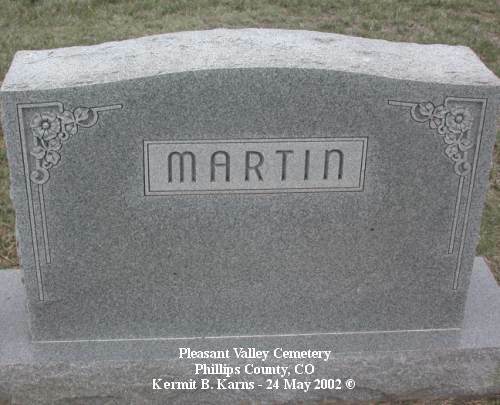 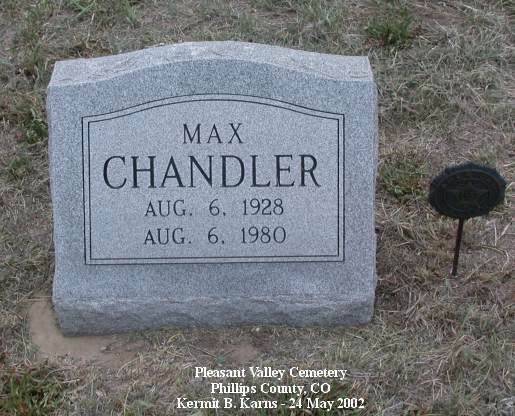 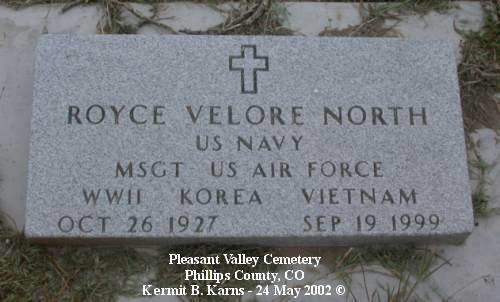 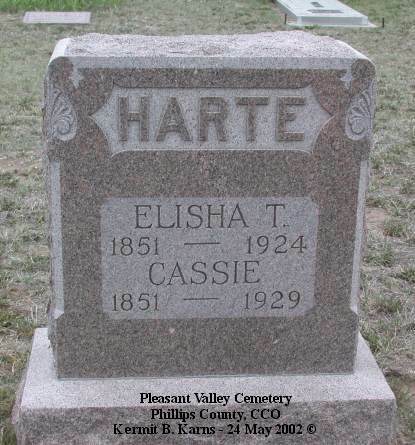 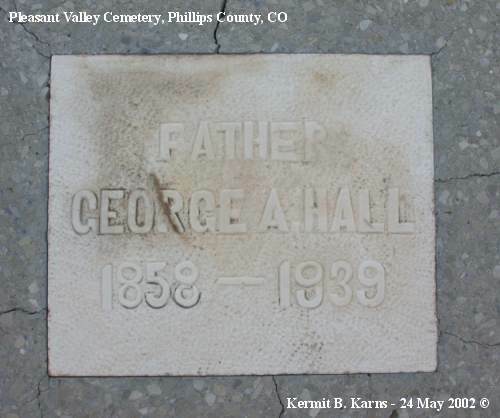 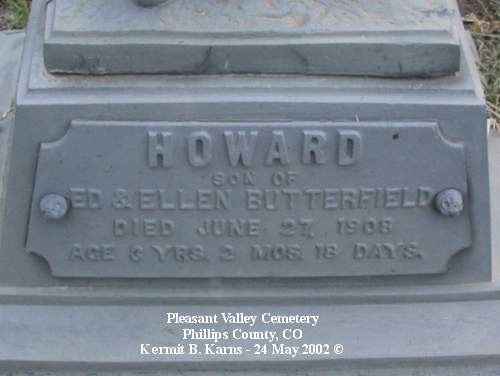 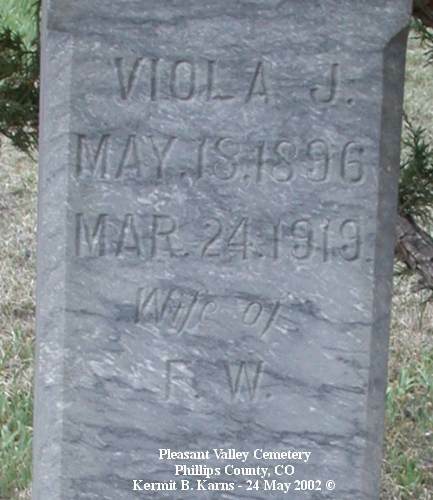 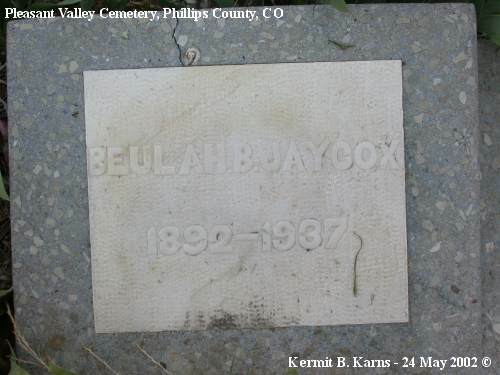 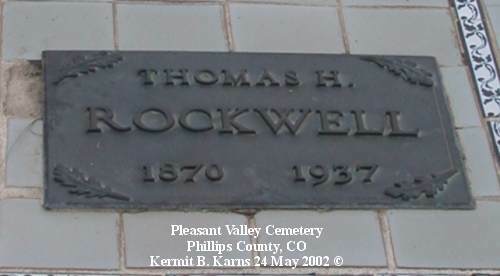 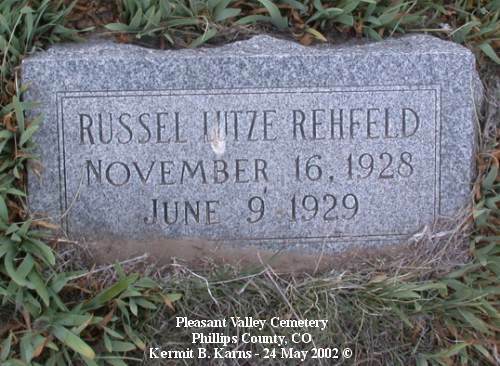 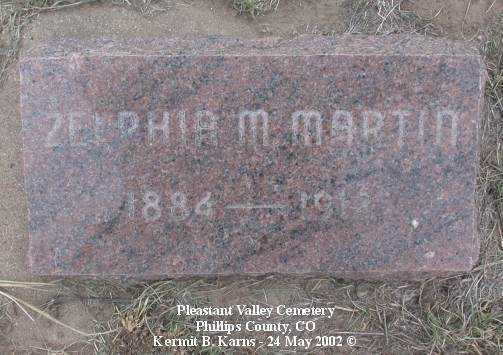 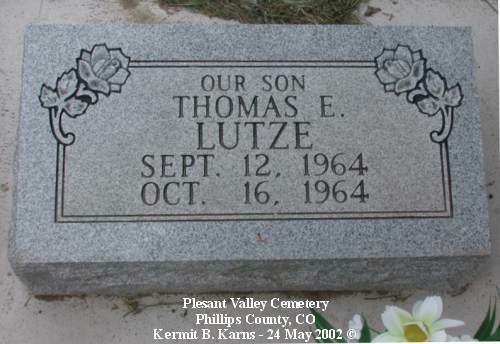 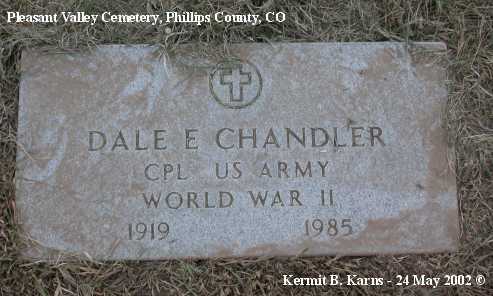 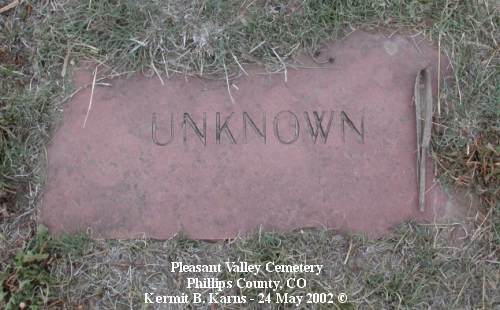 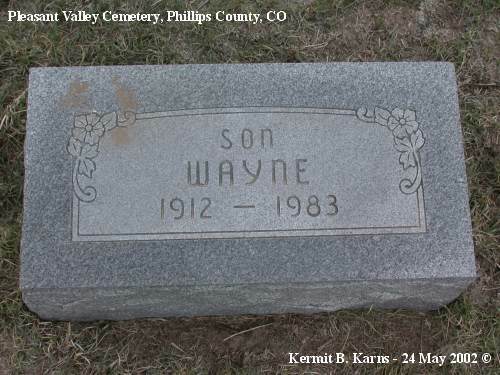 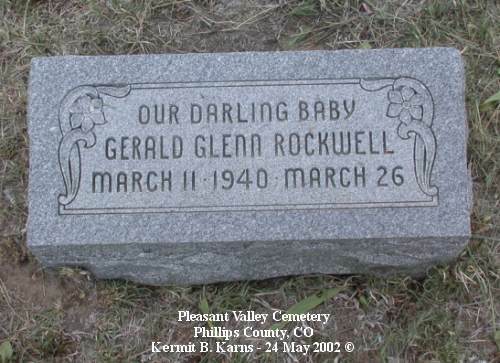 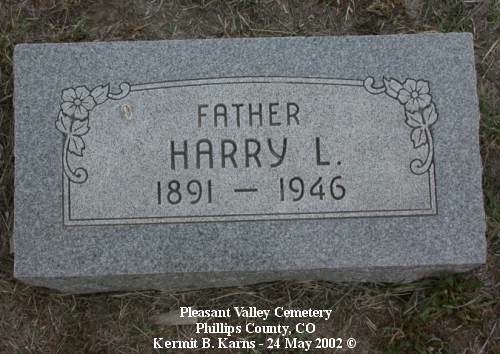 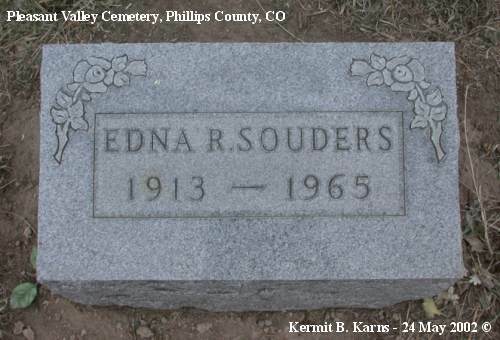 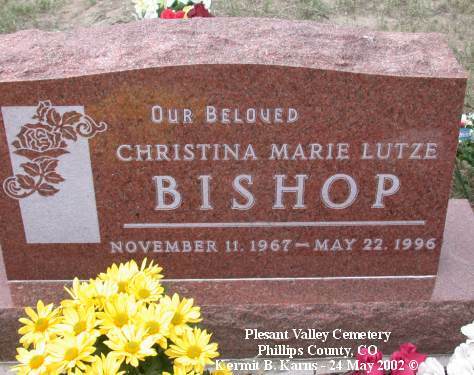 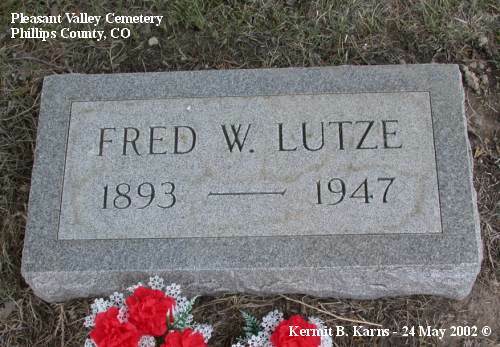 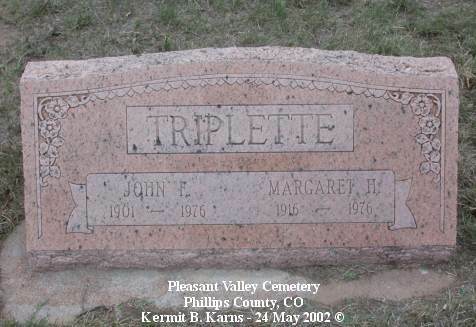 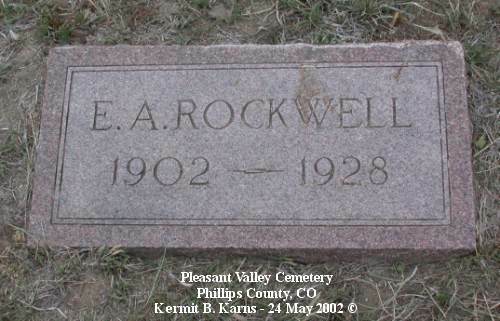 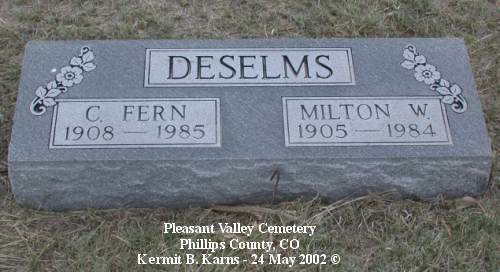 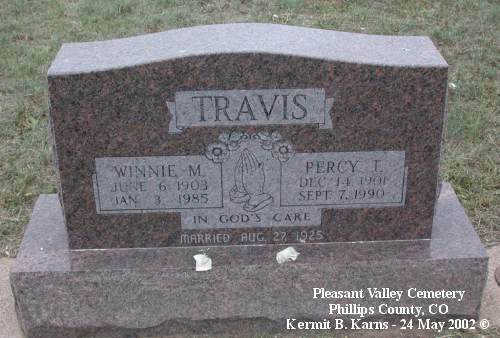 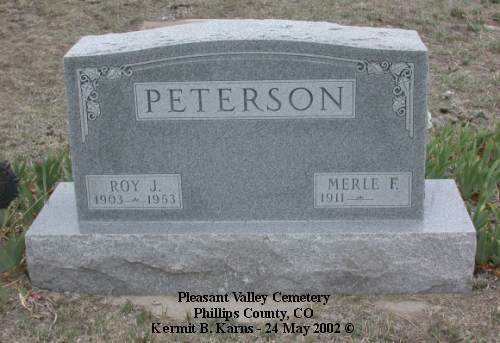 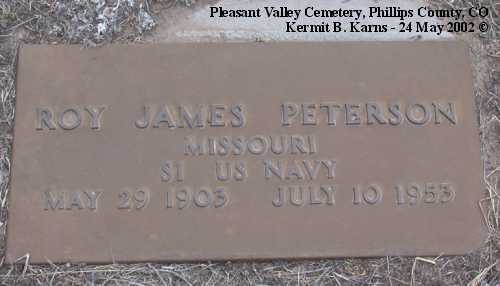 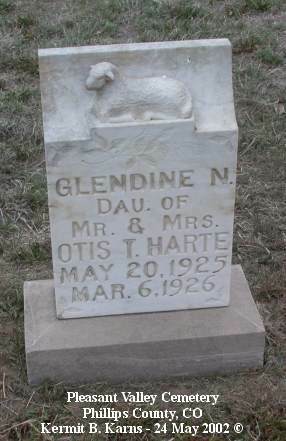 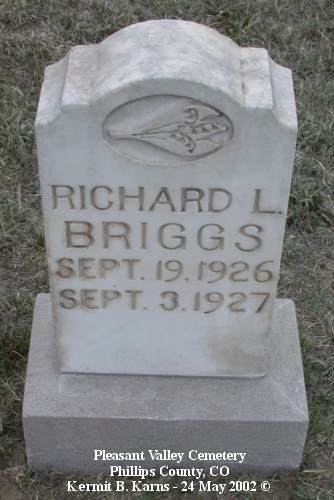 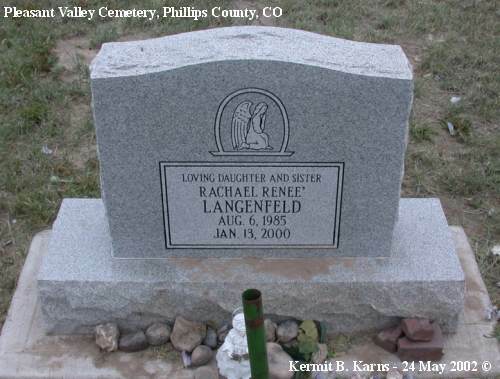 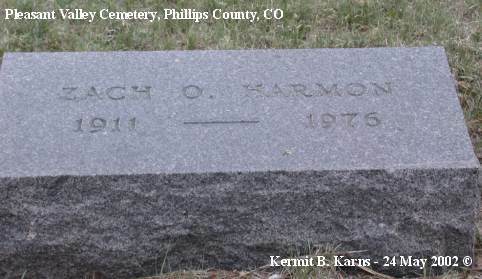 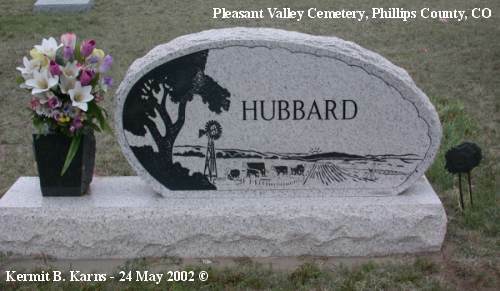 Pleasant Valley Cemetery is two miles west of the Colorado-Nebraska state line about 2½ miles south of Route 6 on the east side of Phillips County Road 61. 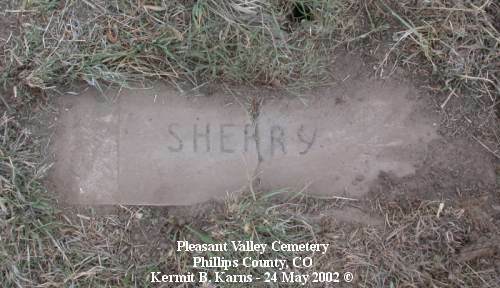 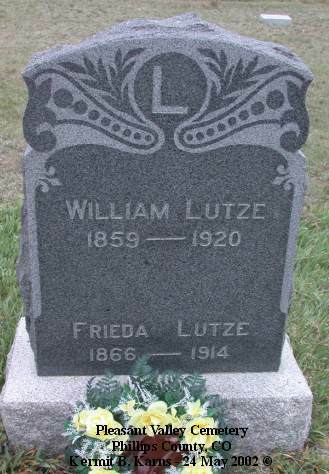 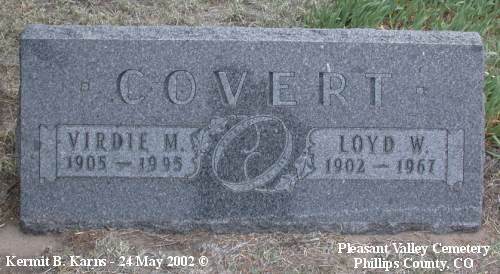 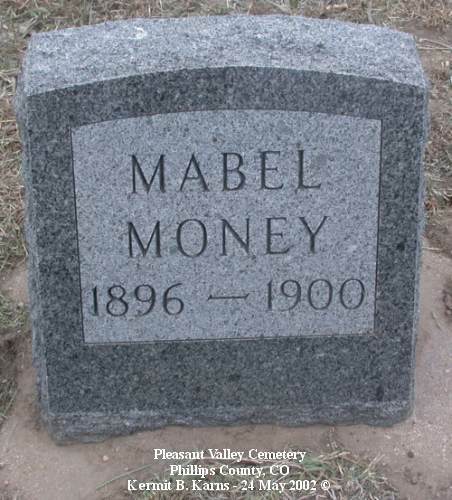 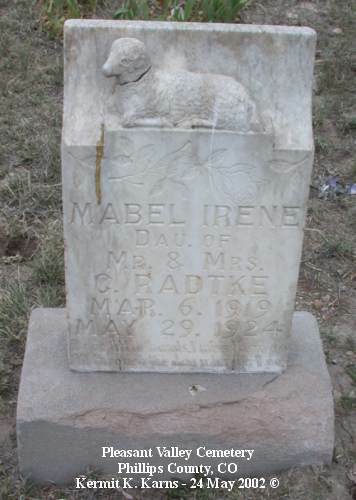 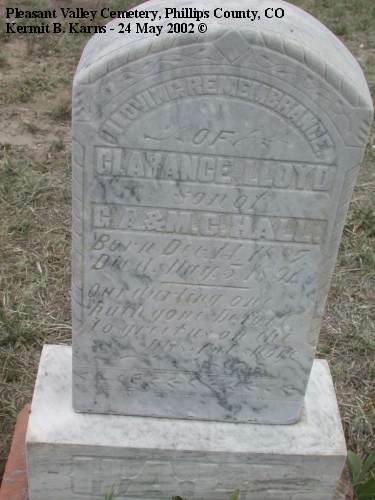 Also called State Line Cemetery, it was established in 1885. 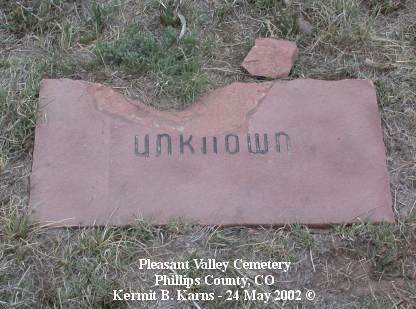 NOTE: Underlined or bracketed letters and numbers indicate "best guess."